The future of healthcare and insurance is still uncertain. Nitin Chhoda imparts how major changes are needed to be made in order to help policy holders maximize the use of their insurance policies. Without a good understanding of health insurance and benefits and physical therapy billing process, many patients make big mistakes that end up costing them money. These are mistakes that also cost their healthcare providers time and money in the form of billing, rejected claims management, and late payment of fees. Because so many people don’t understand that even with insurance and benefits they will still have to pay for some healthcare, the system can be very inefficient. But what about the cost to the health of people who have insurance and benefits but do not understand how the system works? Some people who do not understand will have certain healthcare procedures done without realizing that they will have to pay. When they find out that they actually have a deductible of insurance and benefits which they are responsible for, they are shocked and disappointed to be suddenly in medical debt. And even for patients who do understand the system, making these decisions is dangerous to health. For a patient who has a problem with their skin and is wondering if they might have a melanoma, the correct and safe thing to do is go to the doctor right away. When skin cancer is caught early it is much easier and cheaper to treat and treatment is more likely to be effective without having to use paid insurance and benefits. If a patient knows that they will have to pay up to a $3000 deductible, they may be nervous about going to the doctor for financial reasons. What good is an insurance and benefits plan if you still have to pay for medical care that you can’t afford? 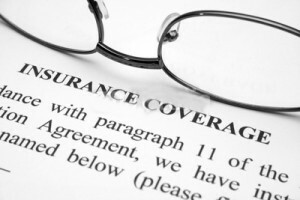 The best way to avoid a bad situation is to educate patients before they choose their insurance and benefits plan. That way, patients can choose a plan with a deductible that they can afford and that makes sense for their health history. Of course, for people working in the healthcare industry, it is usually too late by the time they see patients. In many practices today, the induction process for new patients includes a somewhat sobering educational experience. 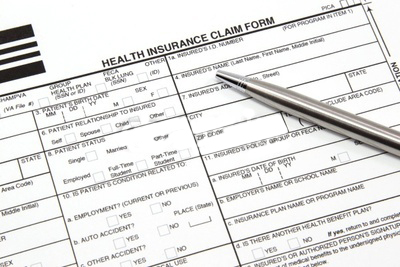 Rather than waiting until the billing process starts and services have already been provided, the reception staff or nurses will actually find out exactly what is covered by a patient’s insurance and benefits plan, and they will find out if the deductible has been reached yet. This may take more time at the beginning, but in the long run it saves time and money for the practice. As a patient, if a practice wants to figure out how much financial responsibility you have, it is best to indulge them so you also know what you will be responsible for paying. By working together, patients and medical practices can determine what the best course of medical treatment will be based on both the financial resources and insurance and benefits that the patient has.